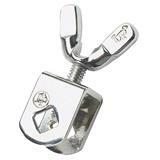 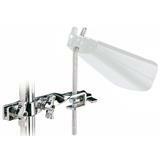 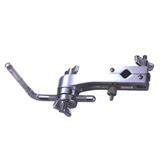 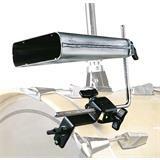 The LP Mount-All Percussion Bracket includes an angled rod for any 3/8" diamter mountable percussion. 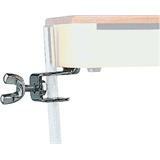 LP's Bass Drum Cowbell Mounting Bracket securely clamps to the edge of a bass drum hoop. 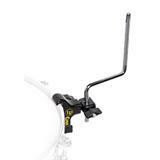 It's rubber lined to for an extra-secure grip and to protect the bass drum hoop. 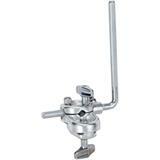 The 75H is designed to easily mount a cowbell to your bass drum hoop. 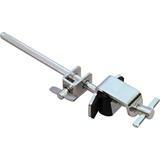 This hardware offers convenience in an affordable price . 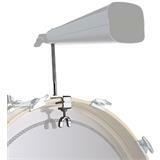 Easily adjust a cowbell up or down. 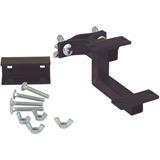 LP Wood Block Mounting Bracket. 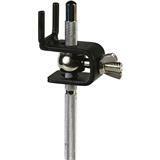 Fits all shock- and woodblocks without percussion mount.